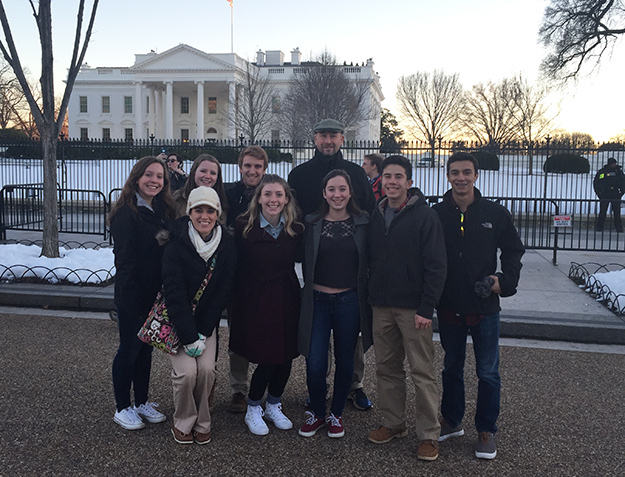 WVHS Student Senate members attend LEAD conference in Washington, D.C.
On Jan. 30, 2016, members of the Warwick Valley High School Student Senate attended the Leadership Experience And Development (LEAD) Conference in Washington, D.C.
A program of the National Association of Secondary School Principals, LEAD conferences offer students and advisers exciting opportunities to develop their skills and grow as leaders. These weekend meetings encourage interstate communication among student leaders and advisers, strengthen leadership skills, and prepare those attending for leadership roles on the local, state, and regional levels. Students attending the conference were Molly Little, Helena Kenny, Kati Mattingly, Brogan Dineen, Jack Schenkman, Jason Nafash and John Kern.